Nowadays you might walk over to Whole Foods or get filets delivered to your door. But there was a time where every running body of water in the northern Pacific Rim that admitted to tides and mingled fresh and salt water had a salmon run in the Spring. And if these rivers, with their kin of stream, rill, and rivulet had an embouchure that humans could approach…there was salmon fishing. In your mind trace an arc from Japan up through Eastern Russia across the Bering Strait south down the coast of Alaska and ending in Northern California. This is realm of the Country of Salmon and the peoples on the edge of that realm have held their neighbors in regal esteem. You might have heard about overfishing in general and overfishing of salmon in particular, so much so that some fishmongers trumpet that their fish are ‘sustainably harvested’ from ‘sustainable fisheries’. Humans aren’t the only ones that long for this orange-fleshed bounty – bears, bobcats, wolves and eagles and owls and other kinds of birds do as well. But when people take too much just for human consumption not only do these animals suffer but the land does too. These animals drag the salmon carcasses, rich with the ocean nutrition onto the land and slowly they nourish and deepen the soil as well which allows for forests to grow thickly. 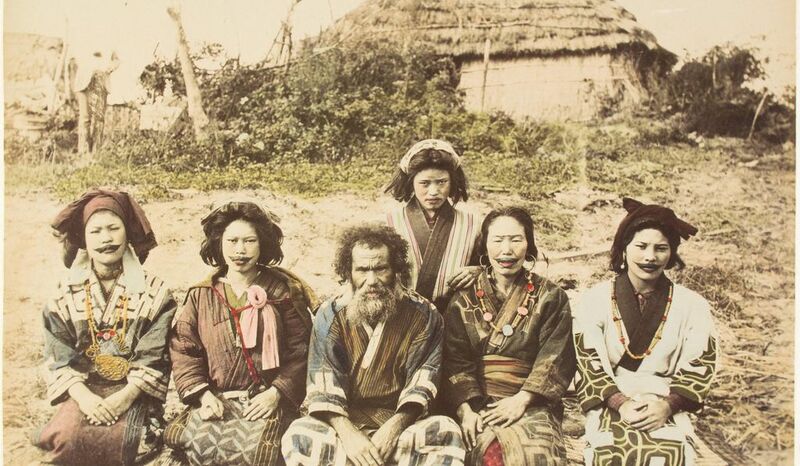 The Ainu are not well known but are the indigenous people of Japan. They have their own amazing history, mythology, and world view that is quite distinct from Japan. They also have their own history – like many indigenous peoples around the world – of being brutalized, discriminated against, colonized, and killed. They are still here. The Ainu have an ancient tradition with the salmon called Asir Cep Nomi that has only been officially allowed again in Japan for just about forty years. But it is very old indeed. When the first salmon of the season was caught the fish was passed through a special window in their home and over many days the entire family would address the spirit of the salmon – thanking her, honoring her, with words and with gifts. All of this was done in front of a specially made fire who was herself a goddess. When the fire reported back to the other gods that Salmon had been treated with proper respect the Ainu could go and fish again. Doubtless it wasn’t always like that. There may have been seasons where they forgot or seasons where they were learning but the Ainu in this ritual leave space for the non-human world to have a place and also for the non-human world to nurture the land and for humans to be able to witness it. Similar traditions existed and still exist among the Hoopa and Yurok Indians of Northern California. We here at Primal Derma try to remember these old ways and try to acknowledge the wisdom in them. Big grazers do for soil inland what salmon does for soil on the coast. Tallow coming from grass fed cows is helping to deepen soil that has been often been stripped by industrial production. If you are needing some more Primal Derma for your skin or to help you remember some of these old trails, we’d love to help you with that.